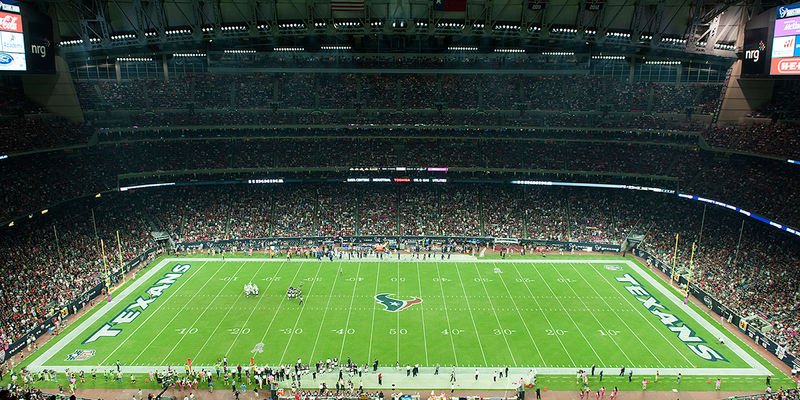 Few major venues in the country are as committed to technology and innovation as Houston’s NRG Stadium. 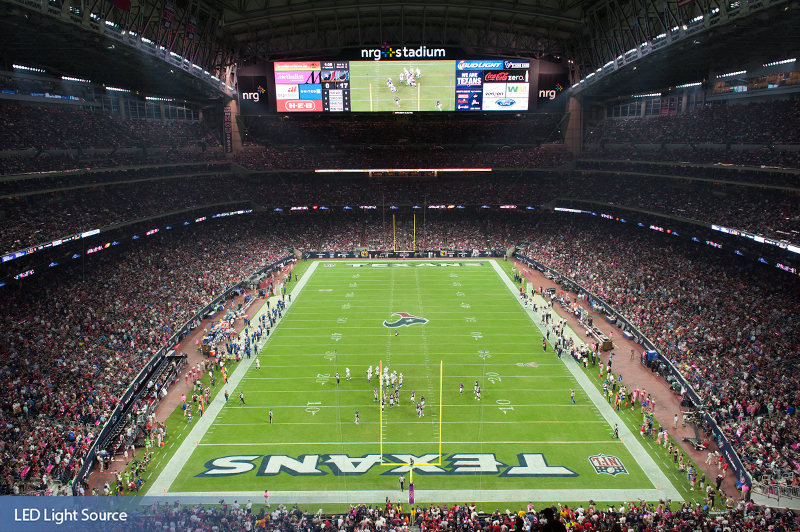 Home to the NFL’s Houston Texans, as well as the Houston Livestock Show and Rodeo™, NRG was the first natural grass stadium to feature a retractable roof, and was the first professional stadium in Texas to be powered by solar energy. 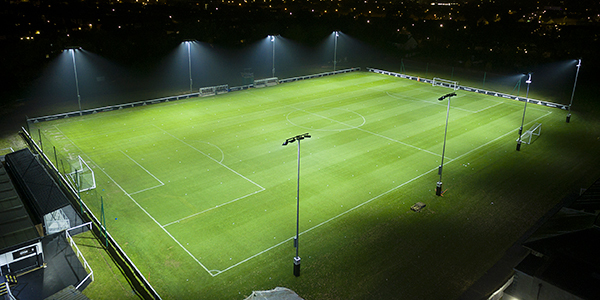 When leaders at the facility wanted to provide a better visual experience while also reducing energy consumption, they turned to trusted partner Musco and its industry-leading LED technology. 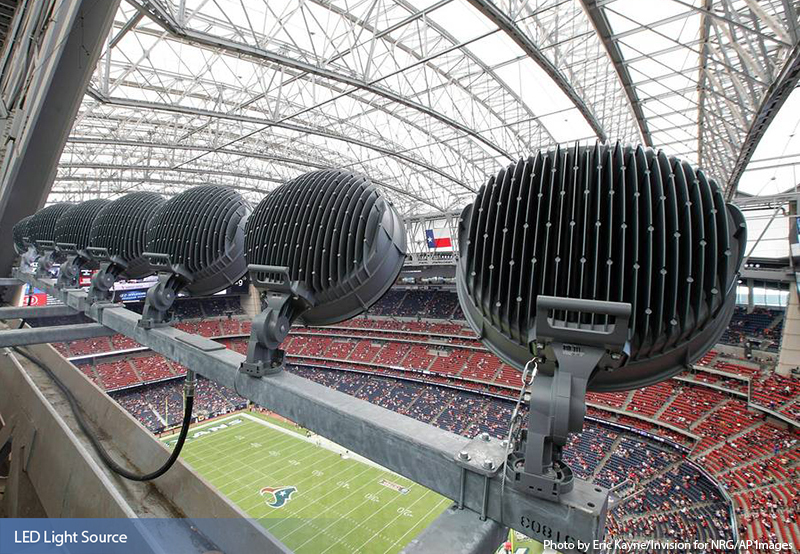 Having installed the stadium’s original lighting system in 2002, Musco understood that NRG Stadium hosted a wide range of sports and non-sports events, each of which had a unique set of needs. 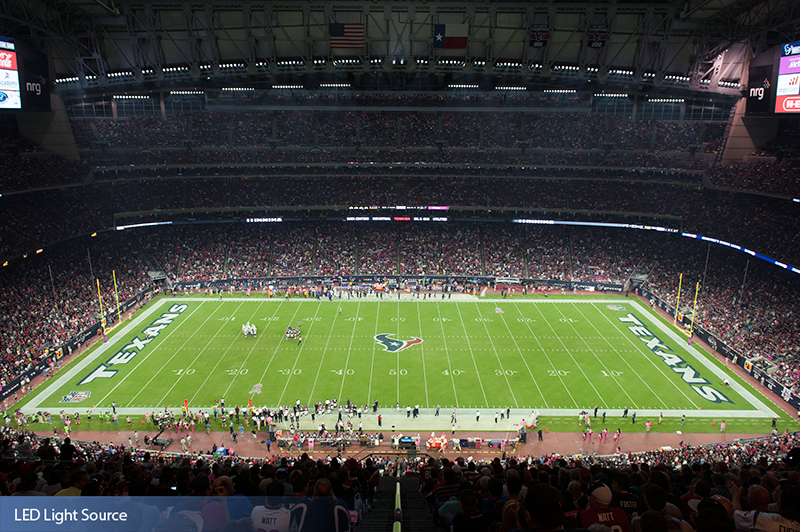 The project made NRG Stadium among the first professional football stadiums in the country to feature LED lighting. 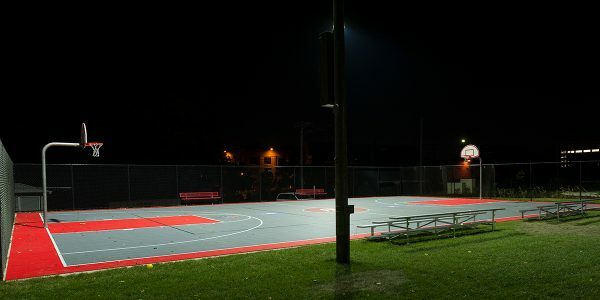 Visibility – The system features Musco’s patented optics, resulting in a much brighter and uniformly distributed light free of glare for players and spectators. 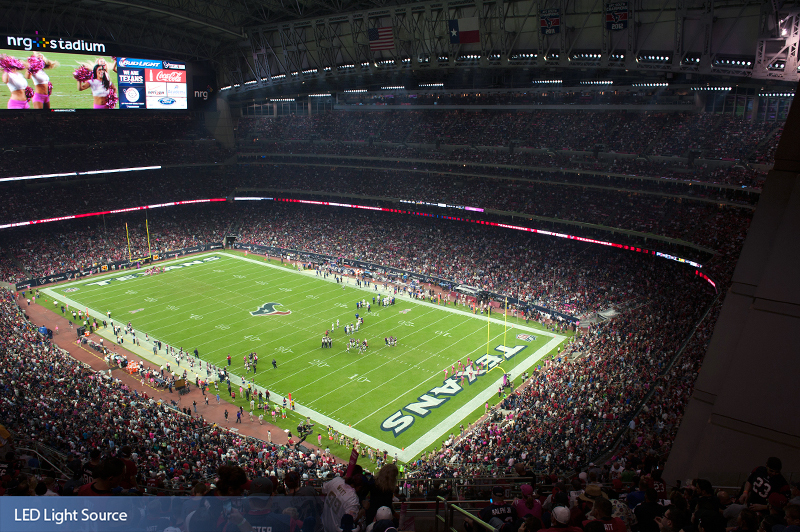 Entertainment Experience – With instant on/off/dimming and special effects capabilities, the system delivers dynamic pregame and halftime light shows. Energy Efficiency – Operating at a much higher level of efficiency, Musco’s LED system cut energy consumption by 60 percent. Maintenance – A long-term parts and labor warranty eliminates maintenance costs and concerns for the next decade. 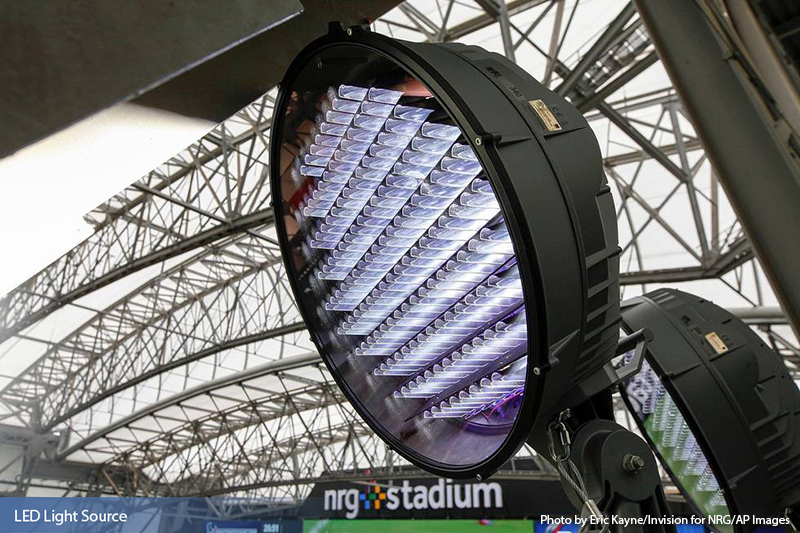 With Musco’s LED system in place, NRG Stadium is host of the 2017 Super Showdown between the New England Patriots and Atlanta Falcons.